Augmented Reality is a piece of technology that has managed to successfully integrate digital information with real-life imagery in such a way that the digital information and animations can interact with physical space opening a new experience to a user. The introduction of Augmented Reality is sure to revolutionize some sectors of the internet age. Unlike its close relative the VR (Virtual Reality), it requires no hardware and relies mainly on tools that most users are already familiar with; Smartphones and Tablets. The hype on Augmented reality is well warranted as it already been used in sectors like healthcare, oil and gas, tourism, marketing and online retail. The utilization of augmented reality in our everyday lives is almost inevitable as it is seen as a technology that will alter consumer experience in various industries. 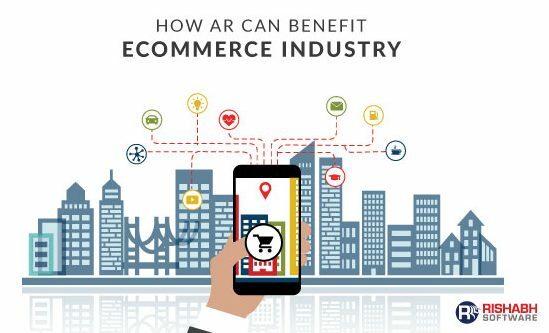 Further proof of AR technology is the fact that in the year 2016 over $17 billion was invested in the advanced development of augmented reality technology. Considering two of the biggest retail brands in the world today Amazon and Walmart, it is evident that Amazon is clearly winning the retail battle as it was recently valued higher than its counterpart. Over the past 20 years, while Amazon embraced the world of online retail, Walmart was a bit slow to join in and hence their smaller market share in the world of online retail. As the internet continues to grow, it is evident that a lot more people are becoming increasingly comfortable doing their shopping online. It is so shocking that despite the increase in the trend of online shopping, the conversion rate for online shopping is at an abysmal figure between 2 and 4 percent. Brick-and-mortar stores, on the other hand, have an astonishing conversion rate ranging about 20 to 40 percent which translates to roughly $3.9 trillion in the US alone. Having witnessed the influence of the internet on shopping, it will be a grave mistake to ignore the benefits that augmented reality bring to the industry of online shopping. As online retail seeks to improve its conversion rates and bolster more revenue, the benefits of augmented reality cannot be overstated. Augmented reality offers various businesses the chance to create a more interactive shopping experience with their customers as it offers the opportunity to virtually try the product they want to purchase. The augmented reality technology grants customers who typically shop online the chance to view the product in form of a model they can interact with in the same manner they would if they were visiting a physical store. This gives the customers a better feel of the product and how it fits into their lives. According to reports, 61% of online shoppers prefer to make purchases on sites that offer augmented reality technology. Most buyers like to explore numerous choices and preferences before making a purchase. With AR, customers can now experience this virtually from the comfort of their homes. Customizations involving colors, designs, patterns and much more can be explored with augmented reality. Today, most online stores offer instructional video on several products in order to help the buyer understand the product. With Augmented reality not only can they interact with the product they can explore its functionalities as well. Typically an average online shopper spends roughly 2 mins online before making a purchase, but with the AR experience that time grows and it has been showing that the more time a customer spends in a store the more likely they are to make a purchase. Top brands like Amazon, IKEA, Alibaba, and eBay have already started to integrate augmented reality technology with their business which has led to massive turnovers. IKEA, for example, has had more than 8.8 million people download their app since they rolled out their AR feature. Outlined below are some of the popular augmented reality companies that can help retailers with their store. This is a platform that primarily uses images and often deployed on mobile for it AR technology. Blippar helps retailer use AR to reach new customers with custom ads, billboards, newspapers etc. One of the most famous uses of Blippar was the campaign they organized with Oreo to allow Walmart shoppers determine the next Oreo flavor. They are a global company servicing top clients like Toyota, Paramount Pictures, eBay and many more. 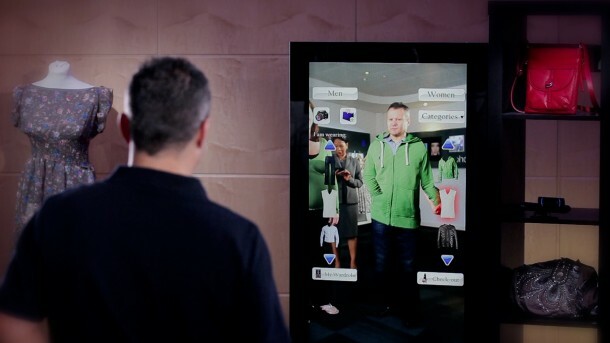 They offer virtual try-on and augmented reality solutions for e-commerce, retail, brand marketing and mobile commerce. They were at the forefront of the fusion between animation and reality which now came to be known as Augmented Reality. Augmented Reality technology is a must-have in the business of eCommerce as it offers a lot of benefits from customer satisfaction and experience, increased sales, repeat business which will later lead to better conversion rates and revenues. In the world of eCommerce, it is vital that you continue to find innovative ways to interact with customers and Augmented Reality gives you that innovative edge.